This self-guiding tutorial provides a step-by-step approach for users to learn NX9.0. It is intended for those with no previous experience with NX. However, users of previous versions of NX may also find this tutorial useful for them to learn the new user interfaces and functions. 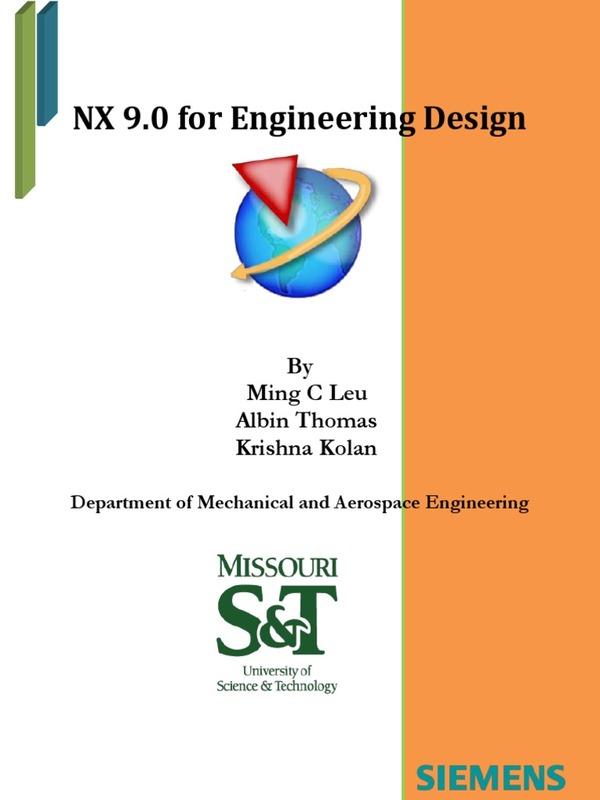 The user will be guided from starting a NX9.0 session to creating models and designs that have various applications. Each chapter has components explained with the help of various dialog boxes and screen images. These components are later used in the assembly modeling, machining and finite element analysis. These models of components are available online to download and use. We first released the tutorial for Unigraphics 18 and later updated for NX2 followed by the updates for NX3, NX5 and NX7. This write-up further updates to NX9.0.